Home / Civil Engineering / What is meant by spillway? The spillway is a masonry overflow portion for every dam. The top of the spillway, known as a crest, is at F.R.L. 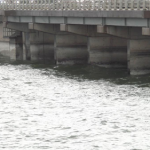 [full reservoir level-water in the reservoir is stared up to a level known as FRL]. It is also called overflow dam, or waste weir. It is a very important component of a dam. The purpose of the spillway is to effectively dispose of the surplus quantity of water from upstream to downstream side of the reservoir. During monsoon, the water level in the reservoir increases up to F.R.L. and if flood water continues to enter the reservoir from its catchment area it will start flowing over the top of the spillway crest [F.R.L. ]The water can rise over the spillway crest up to H.F.L. 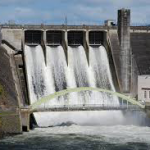 The capacity of spillway should be designed carefully. Any underestimation of the capacity would lead to overtopping of the dam resulting in a serious damage or failure. The overestimation would lead to unnecessarily costly work. 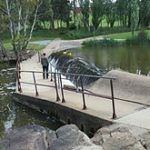 A properly designed spillway controls the levels of water and acts a safe value of the reservoir or dam.